Newly renovated and colourful hotel no more than 5 km from the centre of Copenhagen. Our hotel is perfect if you are on a business trip to Copenhagen. Our large, modern conference department is ready to handle your next meeting. We can accommodate up to 550 people. We offer free parking, and if you want to relax, we can recommend our hot tub on the top floor overlooking the marina. At Scandic Sluseholmen, we add a little extra to your visit! Modern design in a casual atmosphere where everyone feels welcome. Our hotel is ideal whether you're on holiday with your closest companion or spouse, or visiting Copenhagen on business. In our kitchen, our talented chefs are ready to treat you to a delicious gastronomic experience, and in our restaurant, our staff will help you choose the best wine. You can enjoy both food and drink on our outdoor terrace when the weather permits. Round off your evening with a drink, beer or cup of coffee in our bar whilst testing your skills at our pool table. After a long day, a hot tub awaits you on the top floor of our hotel. From here, you have a view of the marina and beautiful parks. 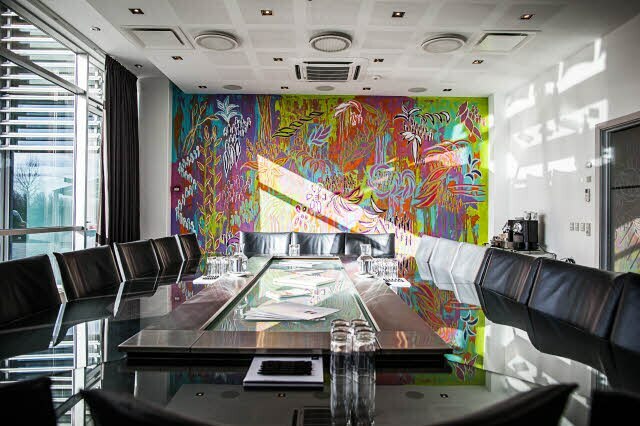 In our modern conference department, we offer a range of meeting rooms for small, intimate arrangements for just a few people to our largest rooms accommodating 550 people. Our professional meeting team is ready to help with all the planning for your next meeting, conference or event. When you arrive at our hotel, we provide free, outdoor parking or pay parking in our underground car park. Scandic Sluseholmen is ideally situated between downtown Copenhagen and beautiful parks. Many of our rooms have views of the marina and the beautiful green areas of Sydhavnstippen, perfect for a run. Not far from our hotel you’ll find the major shopping malls, Field’s and Fisketorvet, and Copenhagen centre with Stroget’s many shops is only 5 km from our hotel. The harbour buses stop close to our hotel and take you to Nyhavn in less than 30 minutes. If the weather is nice, you can take a dip in the Havnebadet Sluseholmen sea swimming pool in Copenhagen harbour close to our hotel. If you're arriving by car to Scandic Sluseholmen, you can either park in our outdoor parking or underground parking. There are also charging points for electric vehicles. Our chefs have Nordic roots and our meals are prepared using the best seasonal ingredients. Enjoy your dinner in our modern restaurant and drinks in our bar, where we naturally also serve an excellent cup of coffee or tea. Your meetings are in safe hands with us. We are highly experienced at organising meetings, ranging in size from 2 to 550 people. Our professional team stands ready to handle all the details of your meeting. Need a place for team building? We have the means and the experience to help you find the perfect solution.